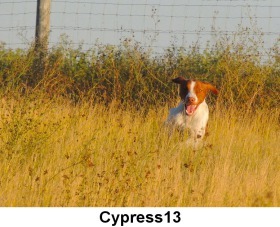 We are very fortunate to welcome Cypress to our home. 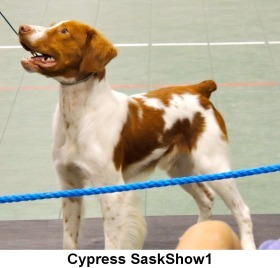 He comes to us from Rivermist Brittanys in Ontario. 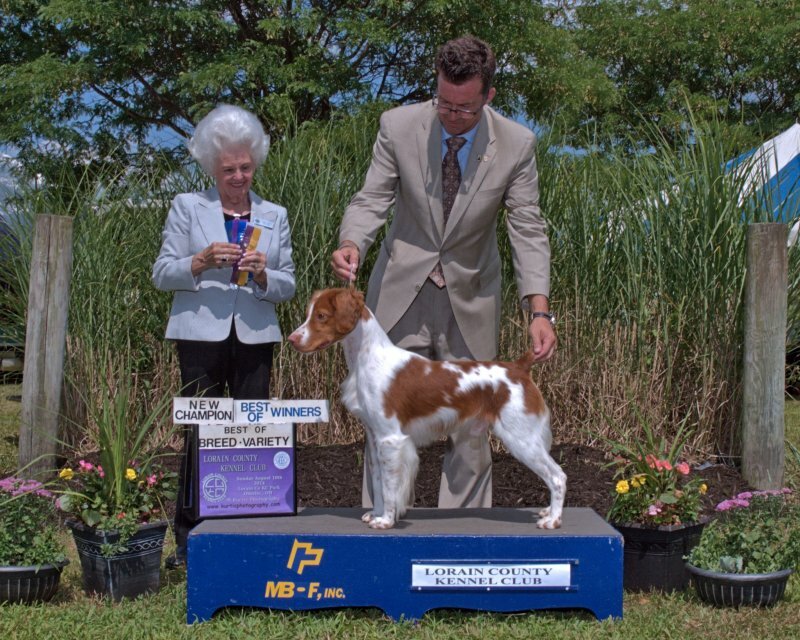 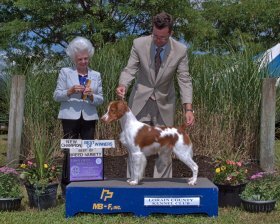 His father, MBIS MBISS GGH Dual Lanes Cam JH, has several Best in Show and Best in Specialty Show wins and was the Winner of the Breed at the prestigious Westminster Kennel Club Show in 2012. 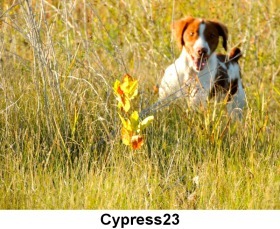 He also has his Junior Hunter title. 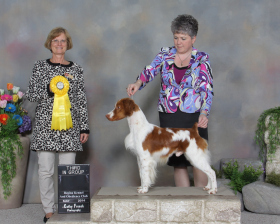 His mother, BIS BISS Can GCHex AM CH UKC CH Ataboy's Dazzle me Daphne JH FDJ CGN is equally accomplished and is also a Best in Show and Best in Specialty Show Winner who is also hunt test titled. 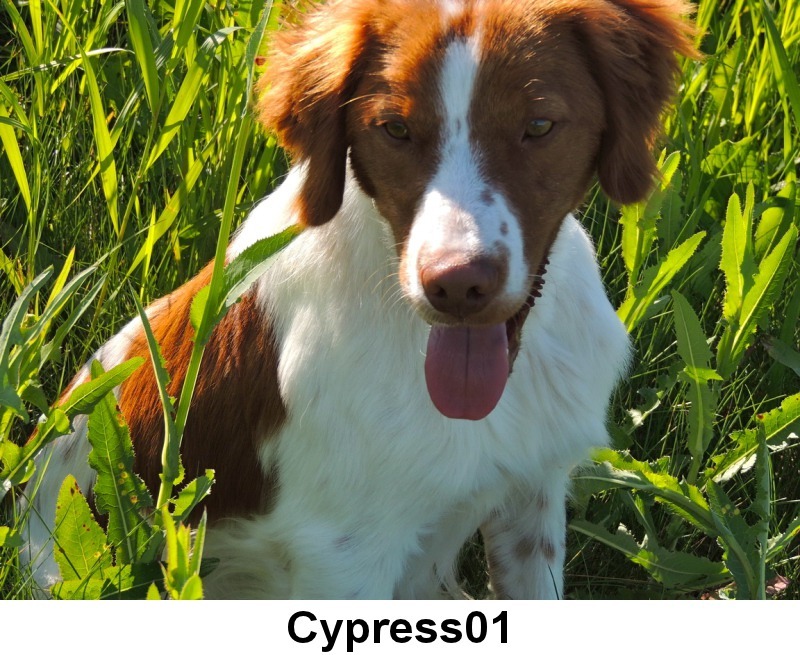 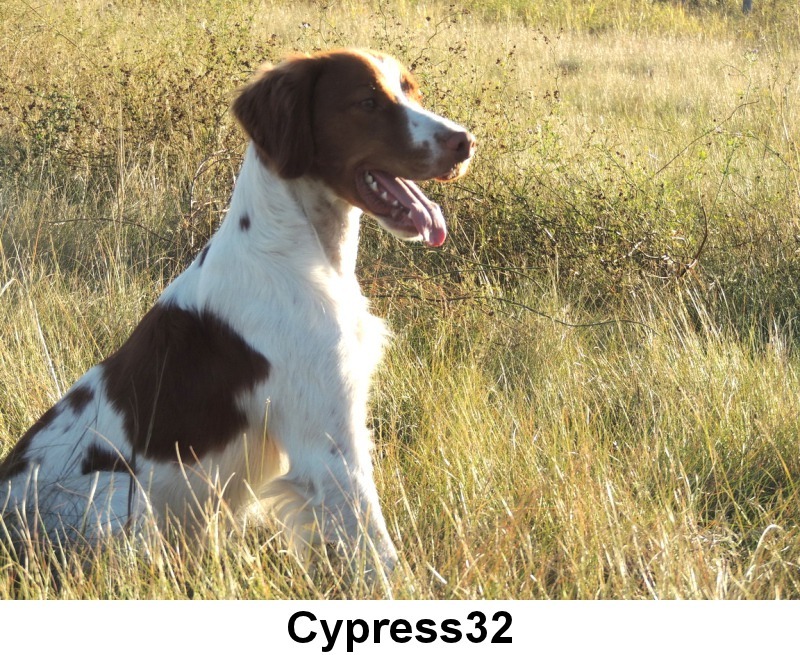 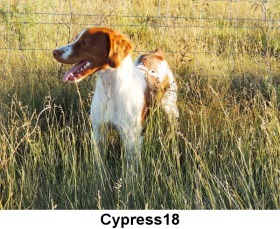 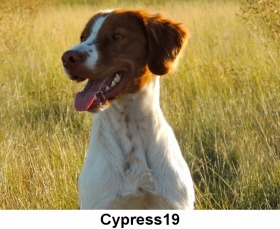 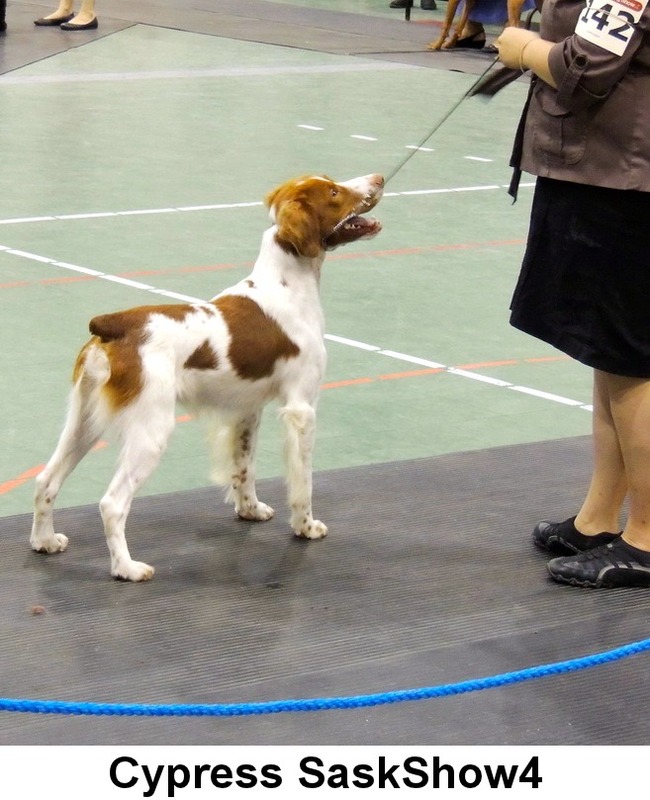 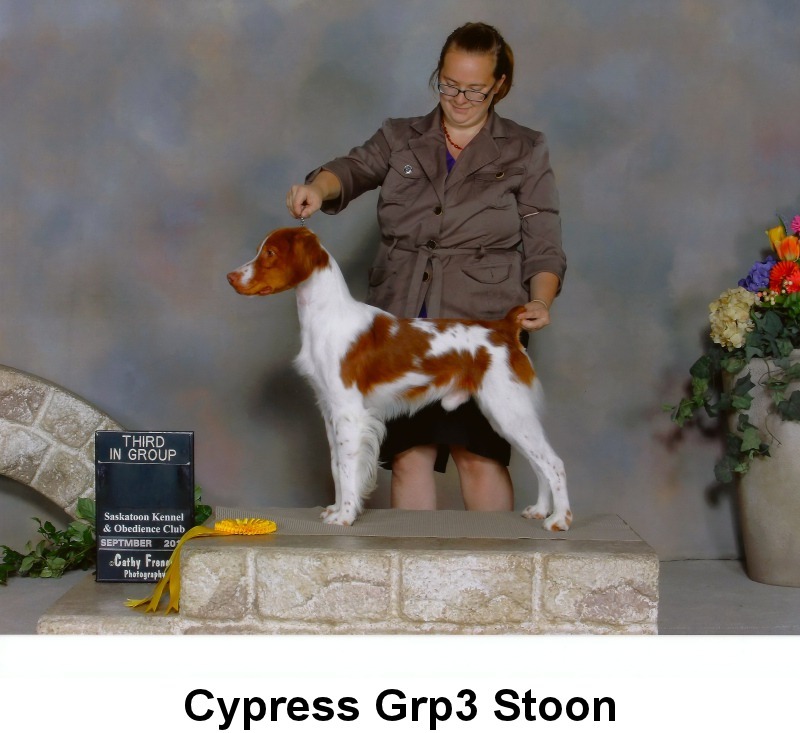 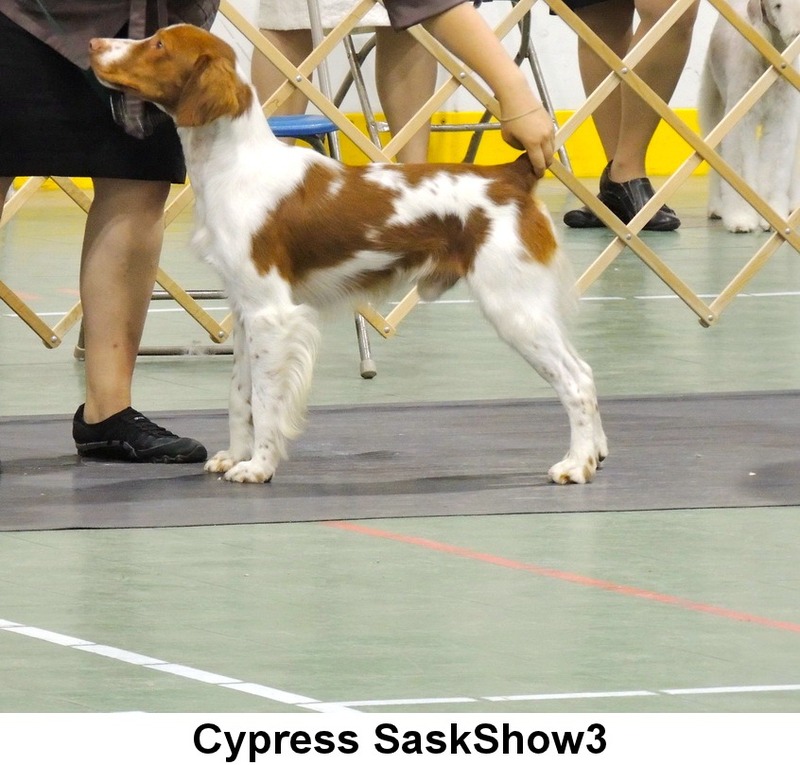 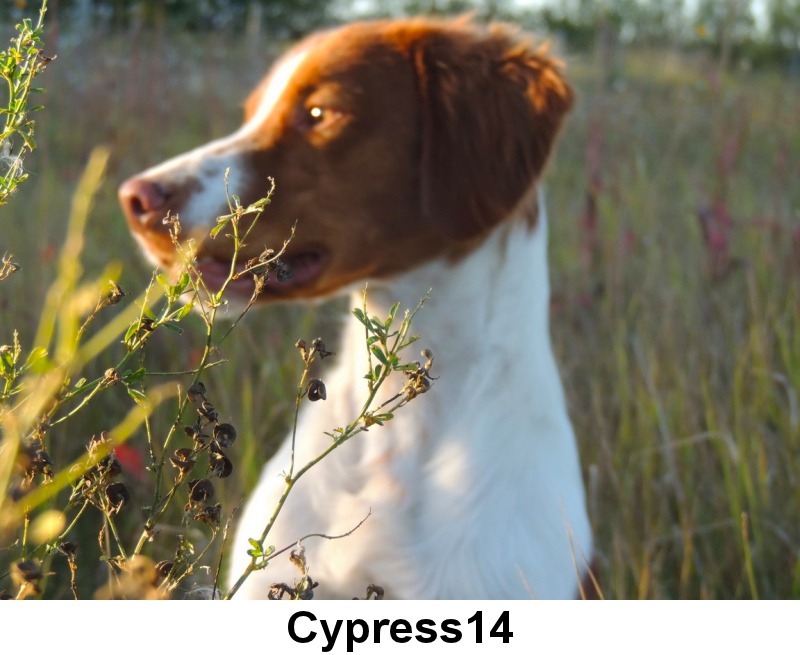 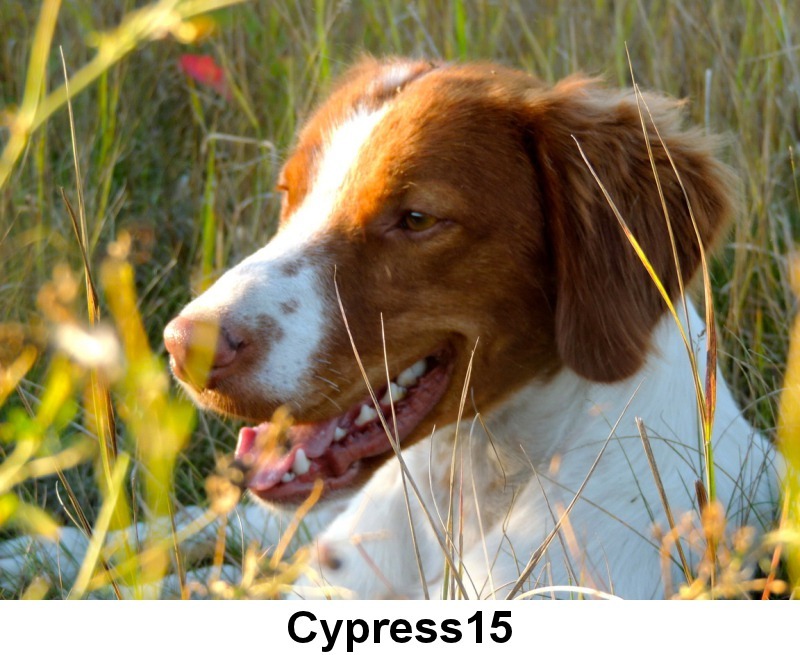 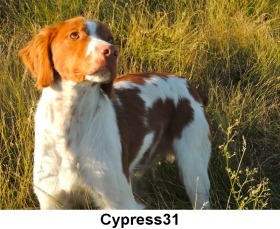 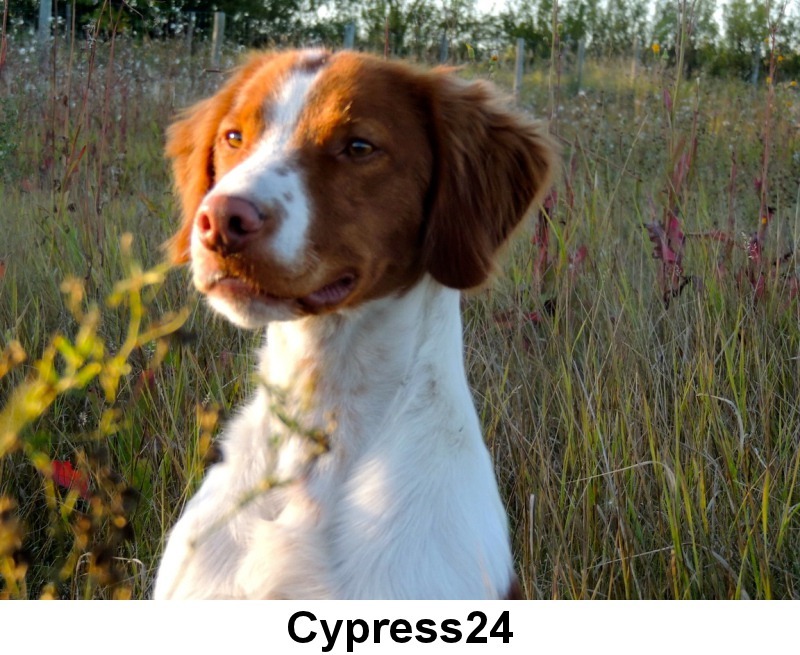 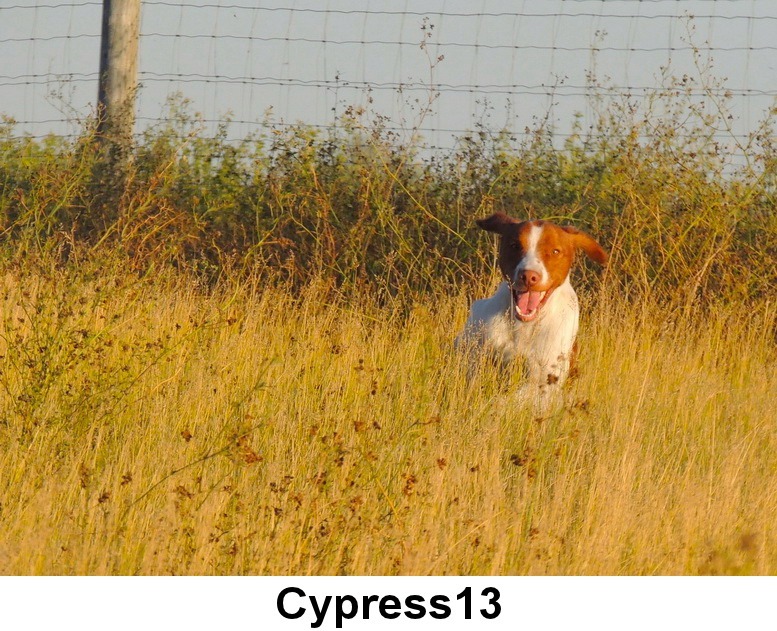 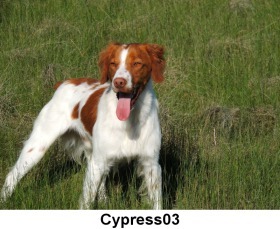 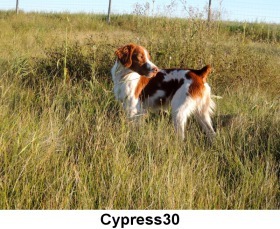 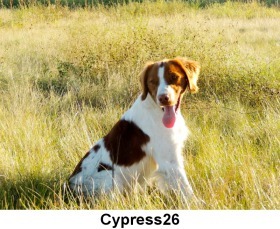 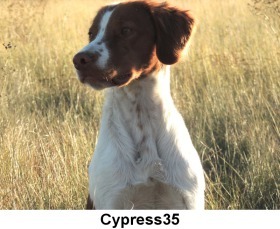 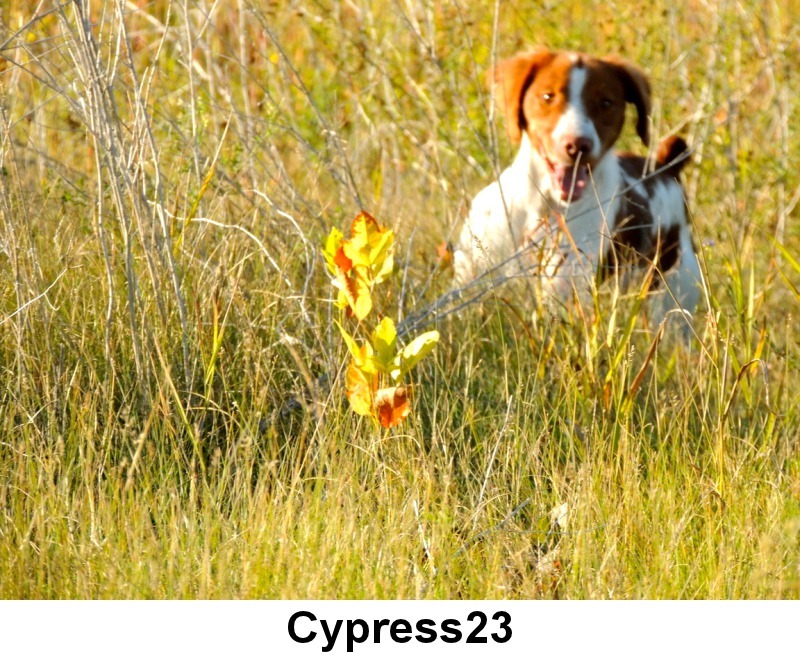 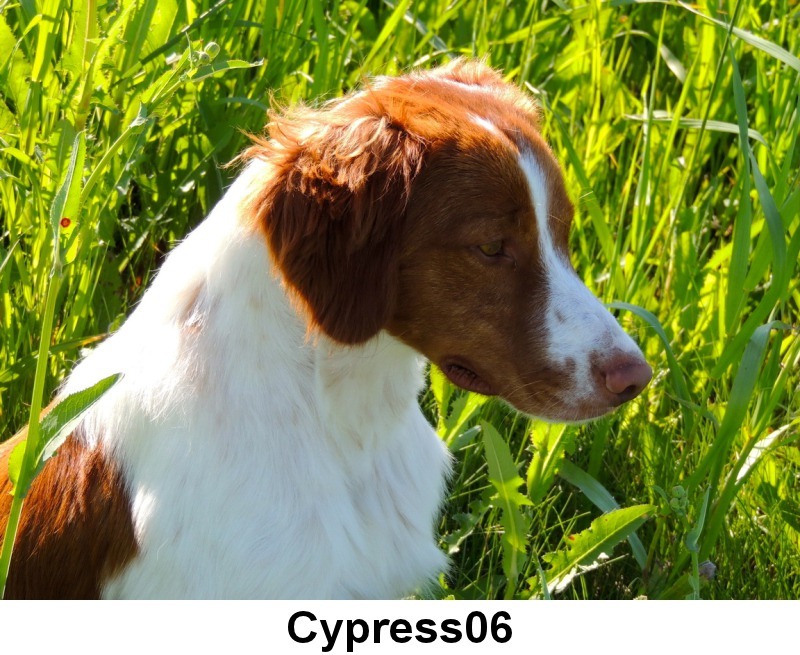 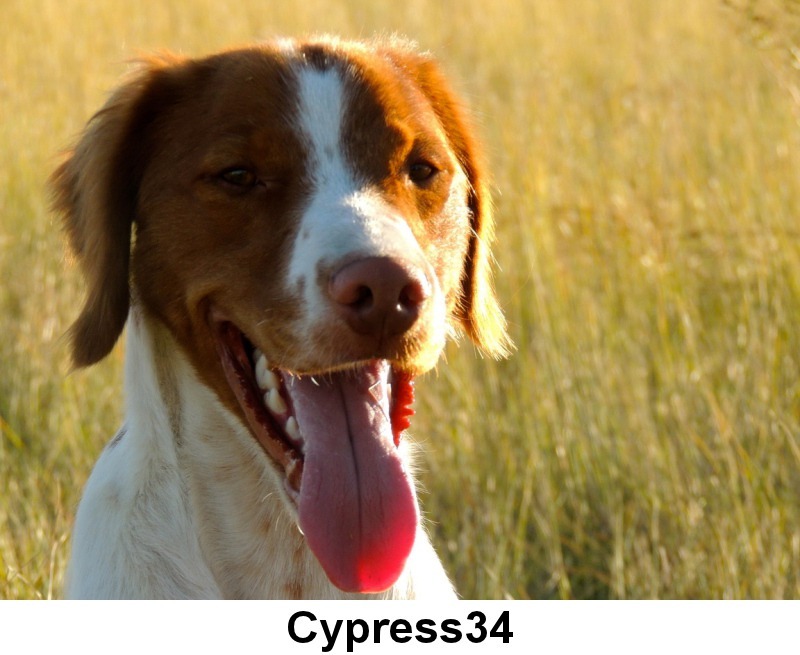 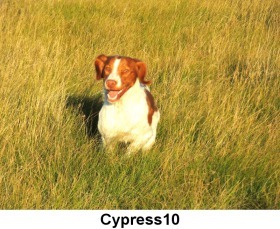 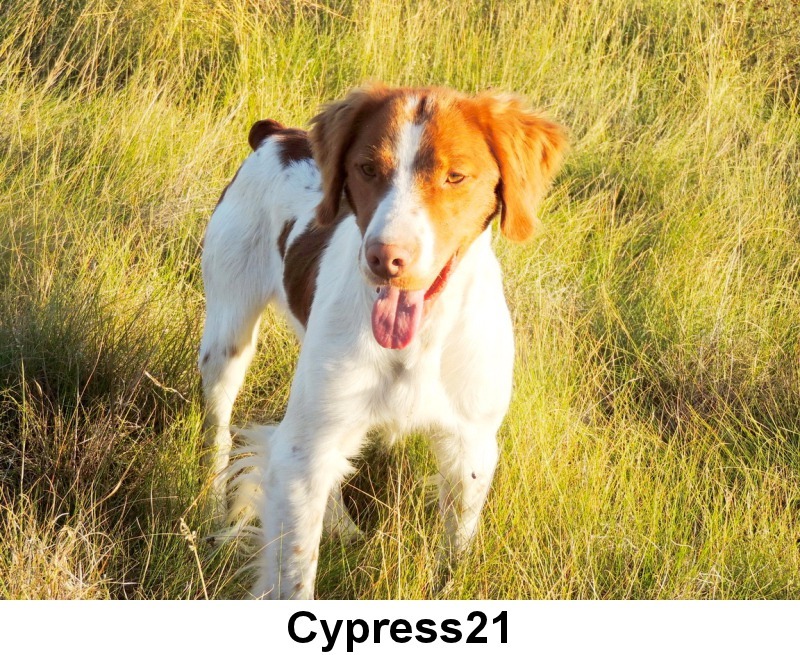 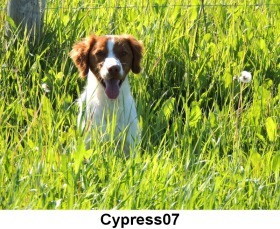 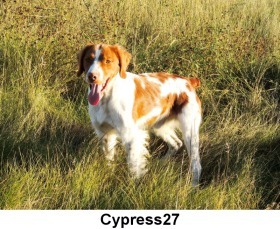 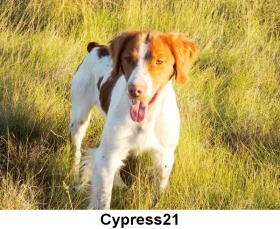 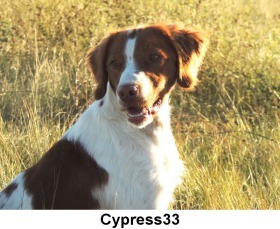 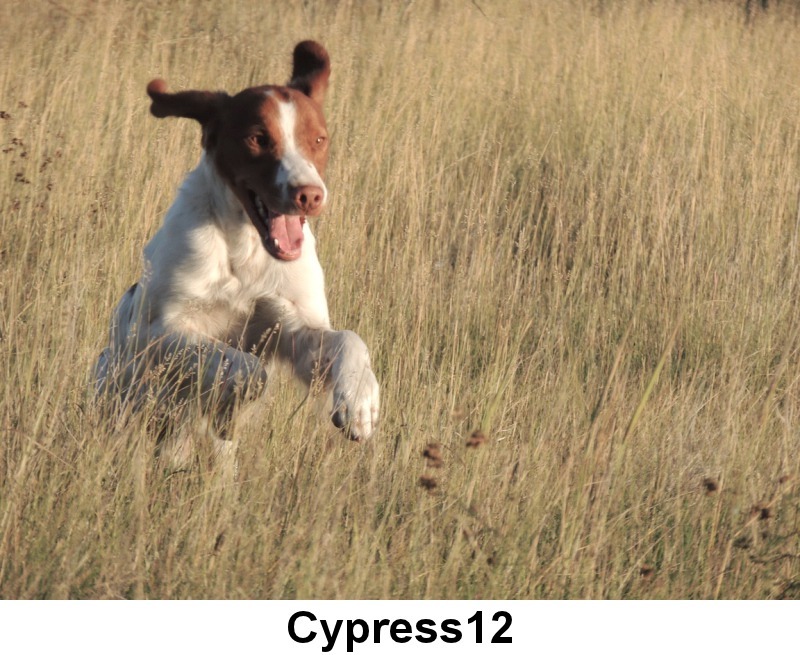 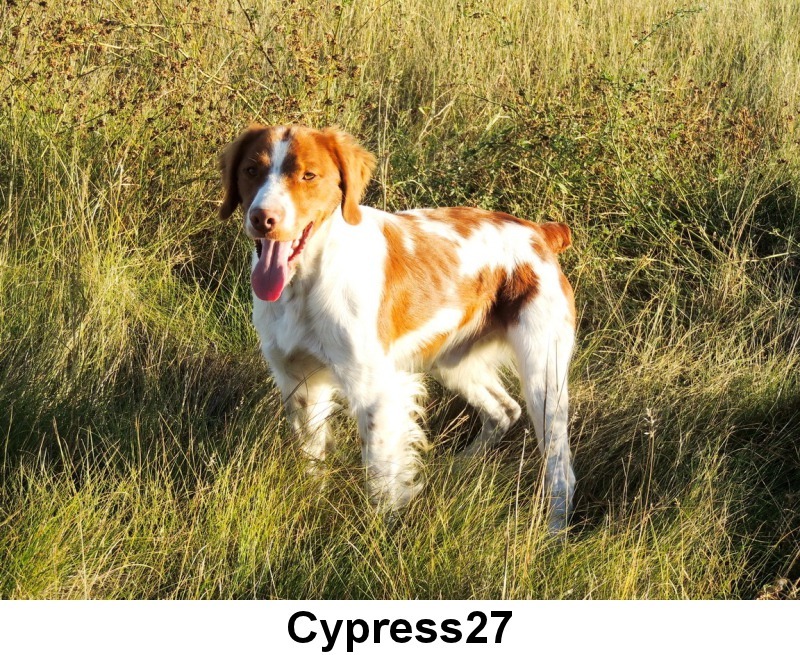 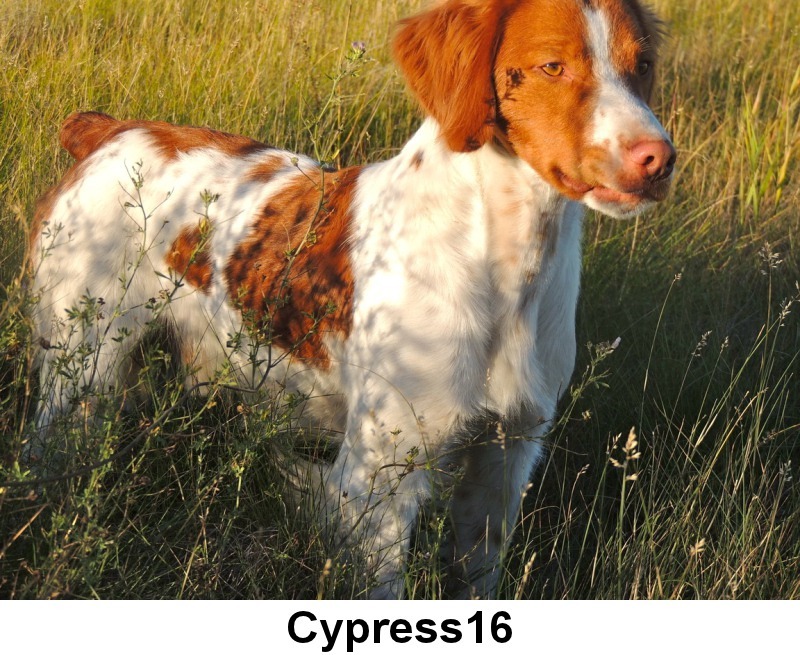 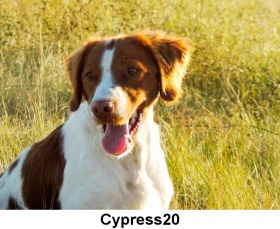 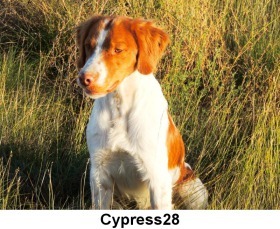 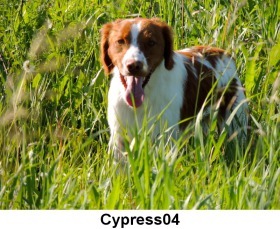 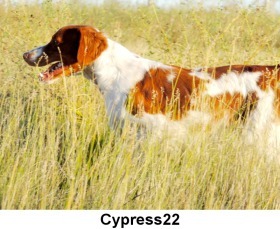 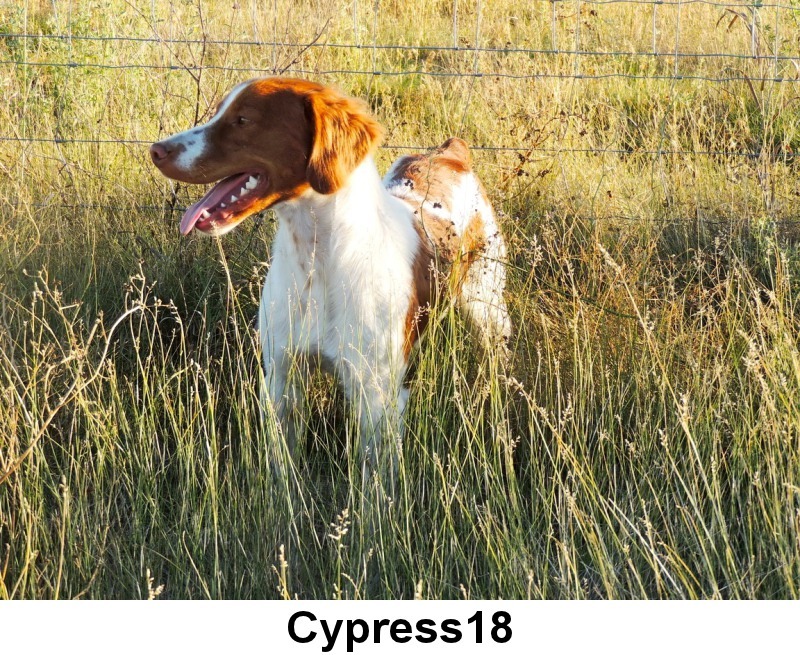 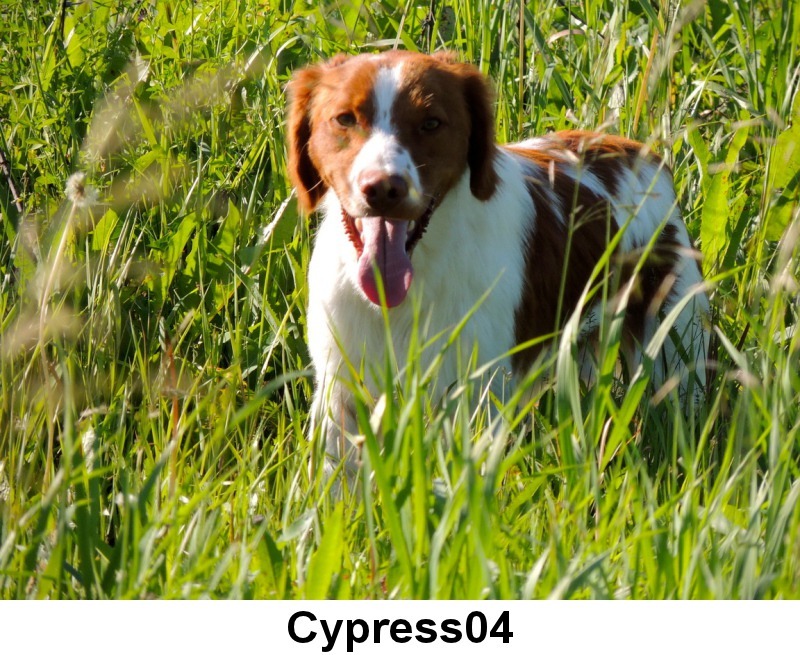 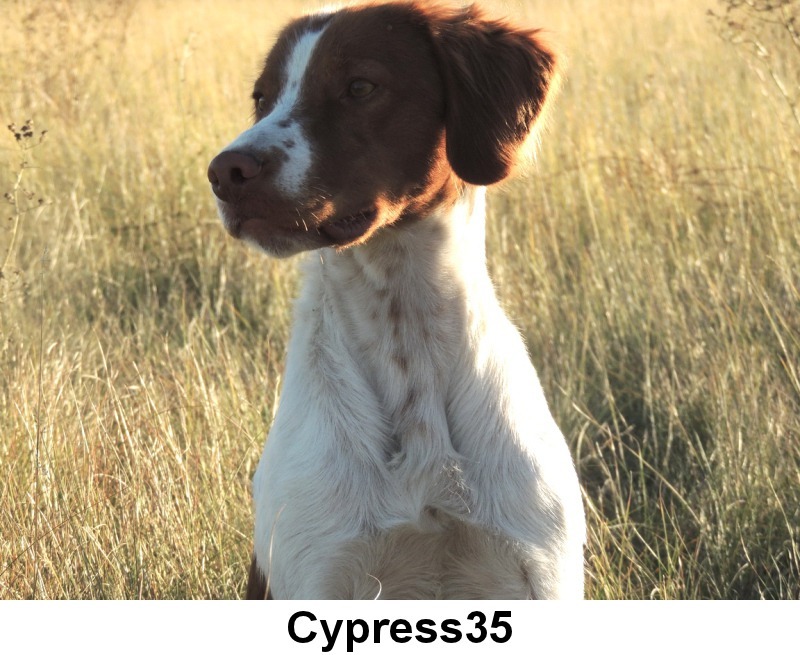 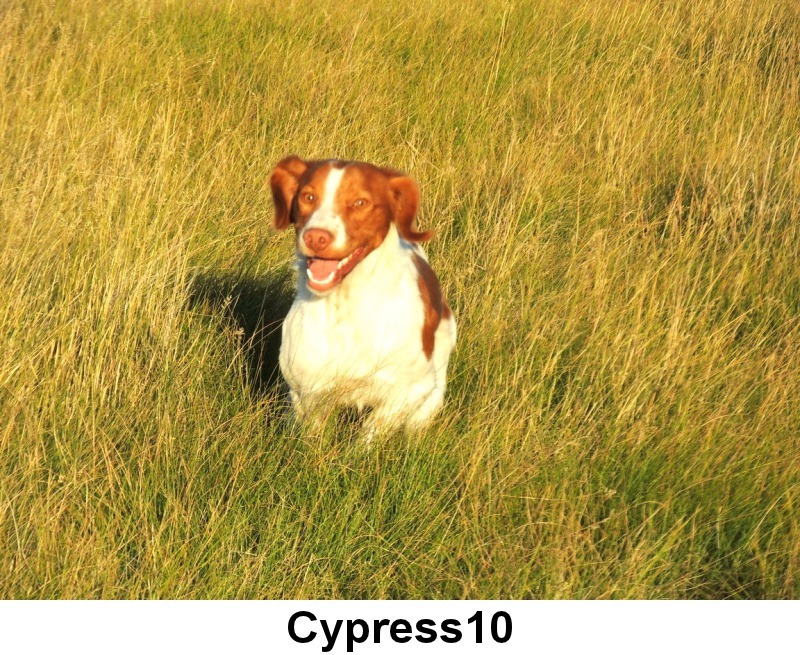 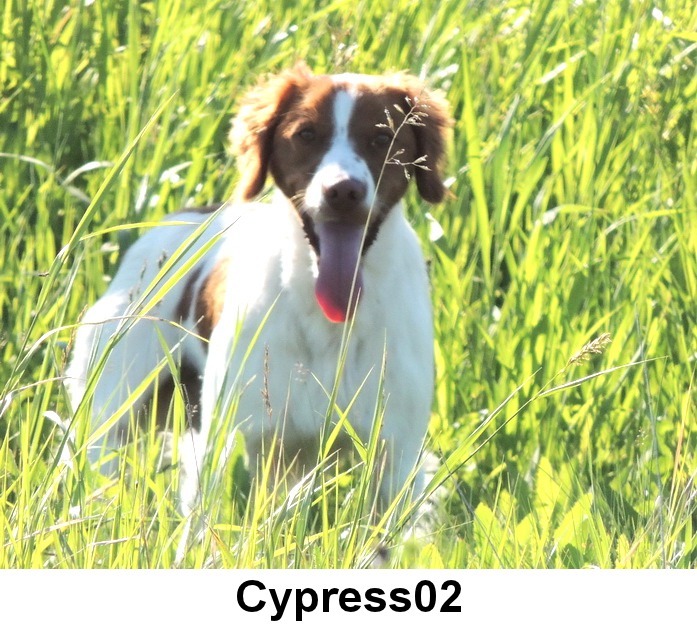 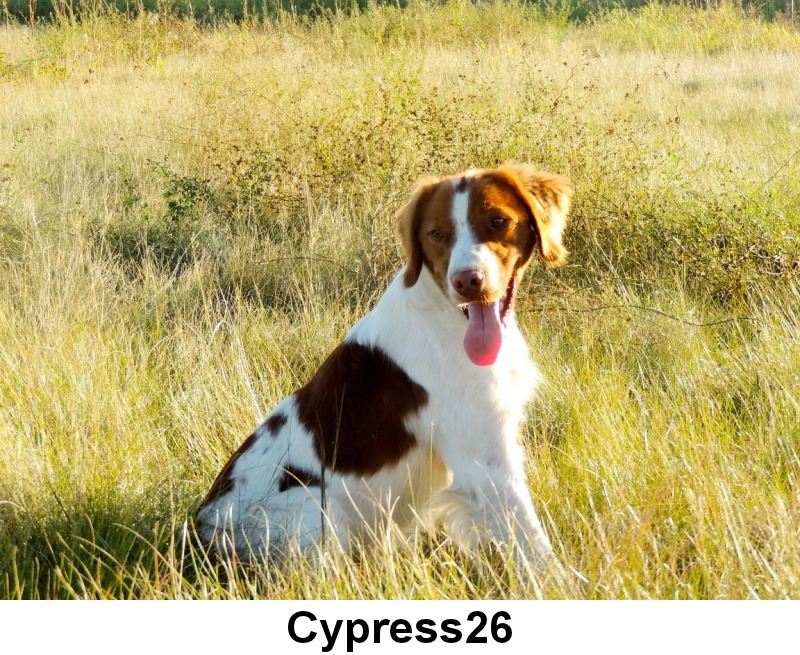 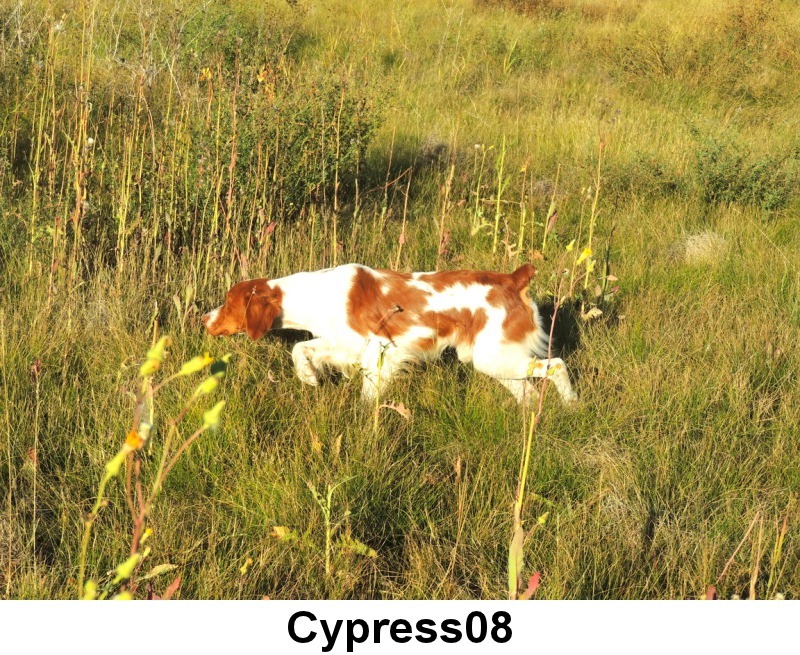 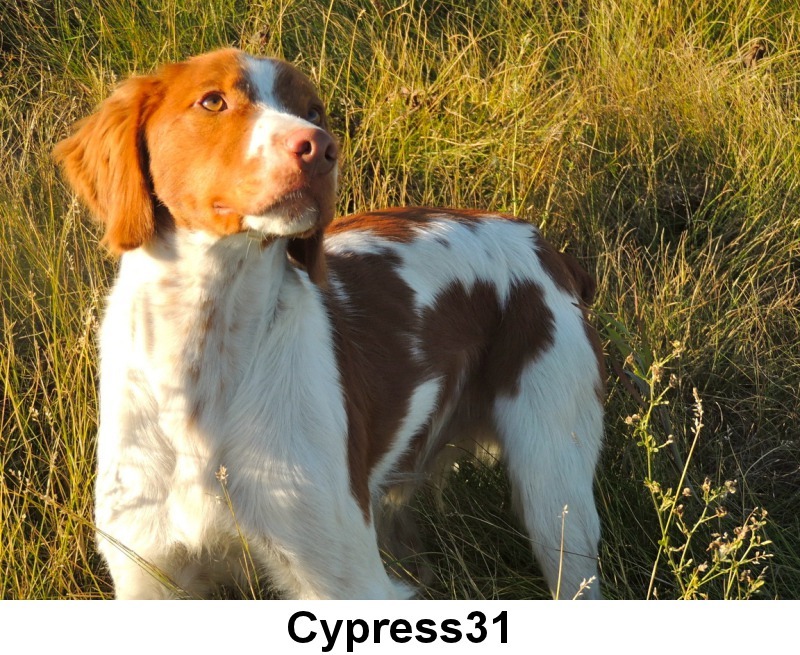 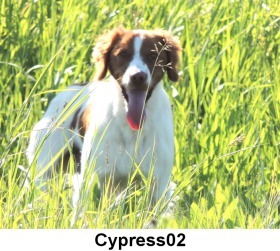 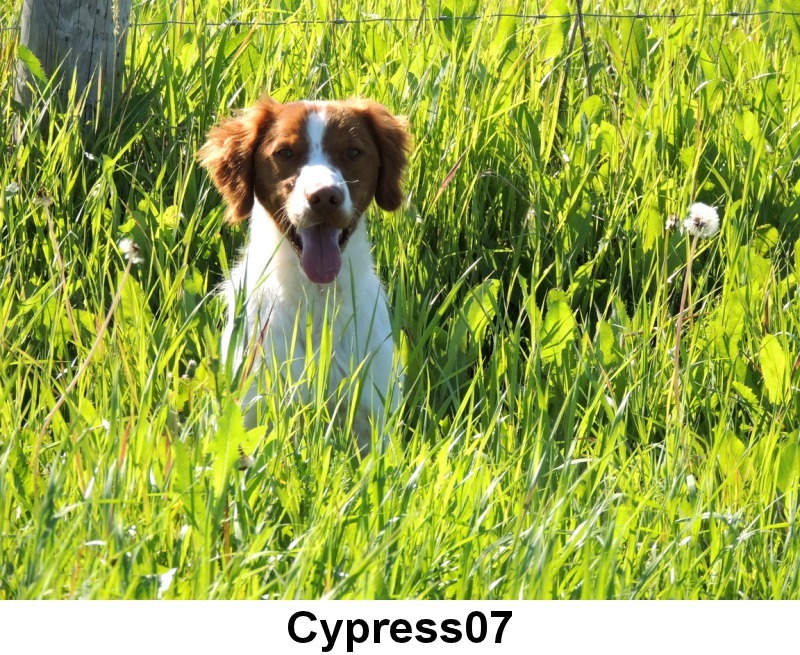 Cypress is a multiple Group Placing Brittany who received his Canadian Championship very quickly with very limited showing. 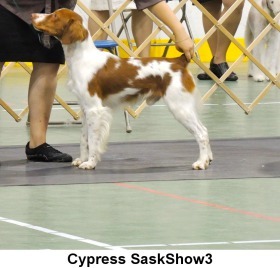 His first weekend in the show ring he won Best of Breed each day to finish the weekend with 6 points. 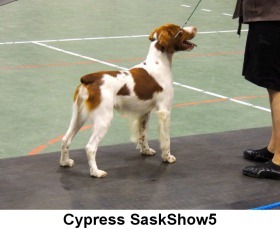 His very next time in the ring he received a Group 1 placement to finish his Championship. In August of 2013 he won Best of Opposite at the Sporting Specialty in Calgary. 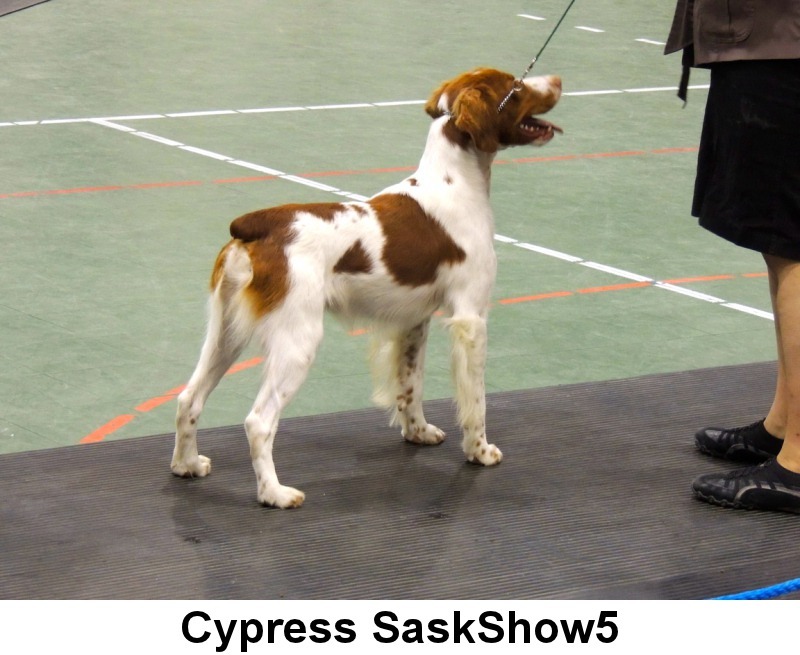 He finished off the 2013 show season by winning Best of Breed each day at the Saskatoon show and also received a Group 3 placement. 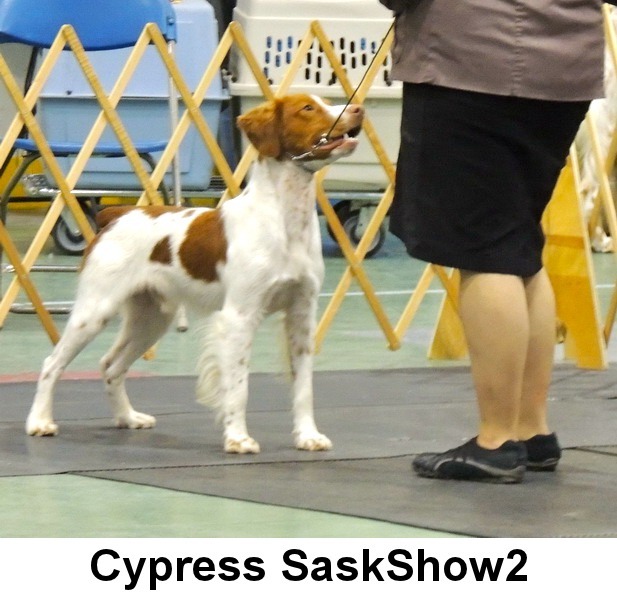 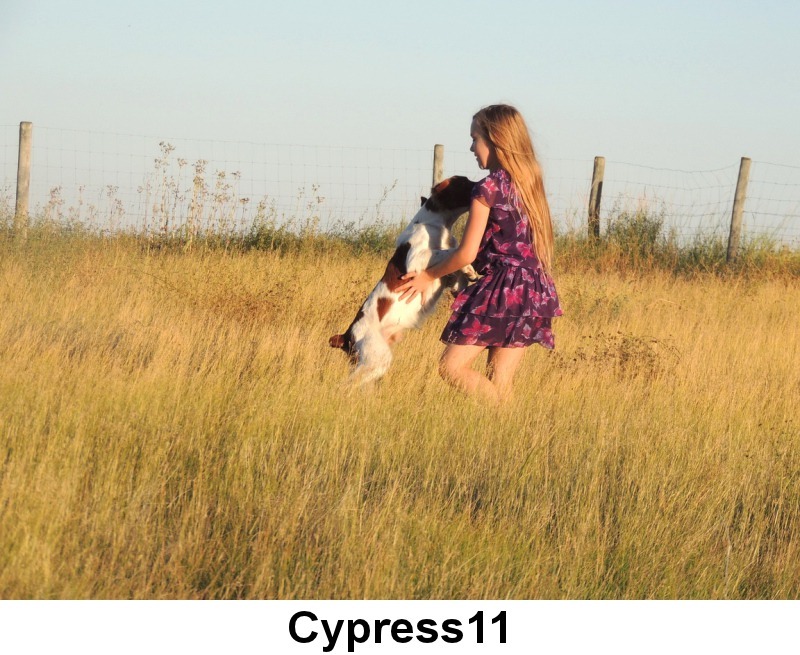 In May of 2014 Cypress finished his Canadian Grand Championship with several Best of Breed wins and then went on to receive 2 Group 3 placements and a Group 2 placement in Regina the following weekend. 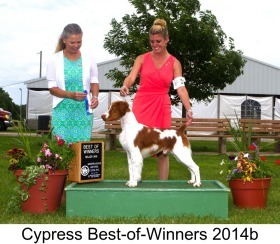 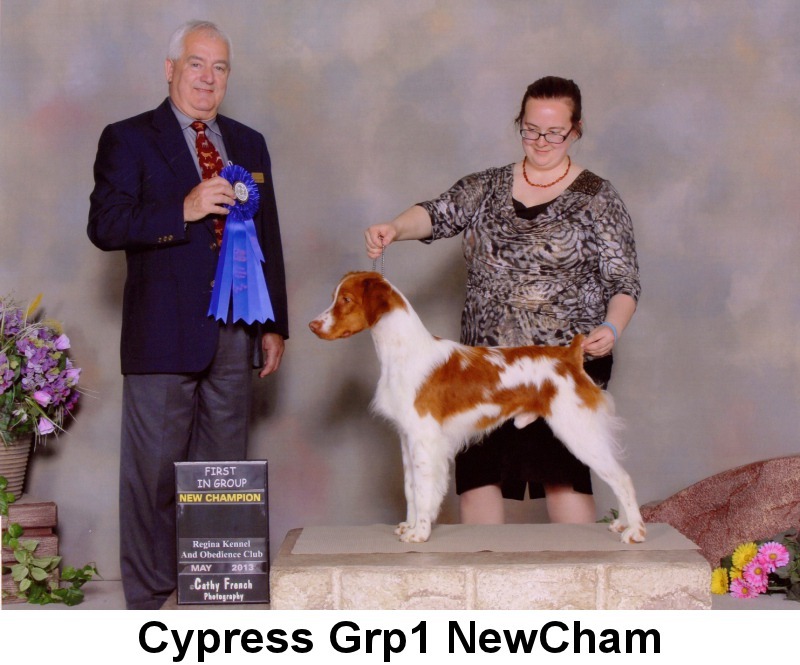 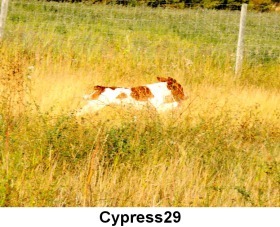 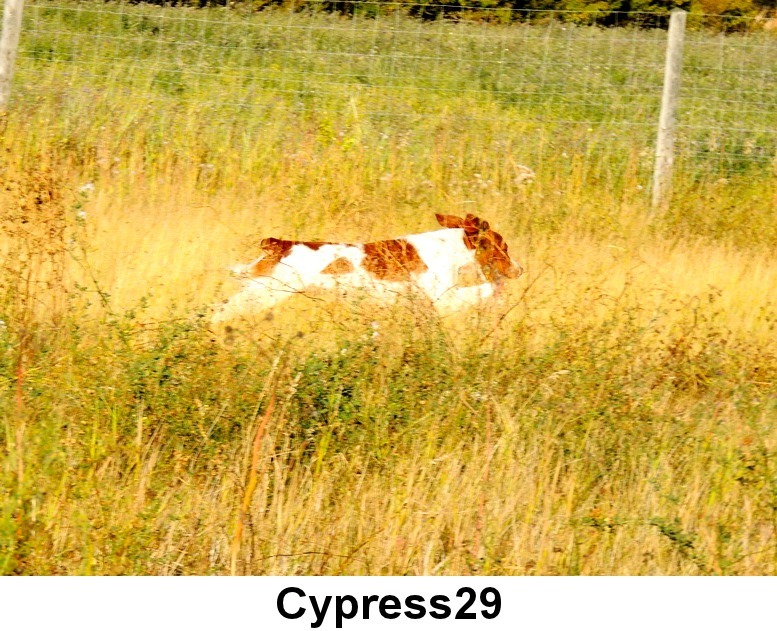 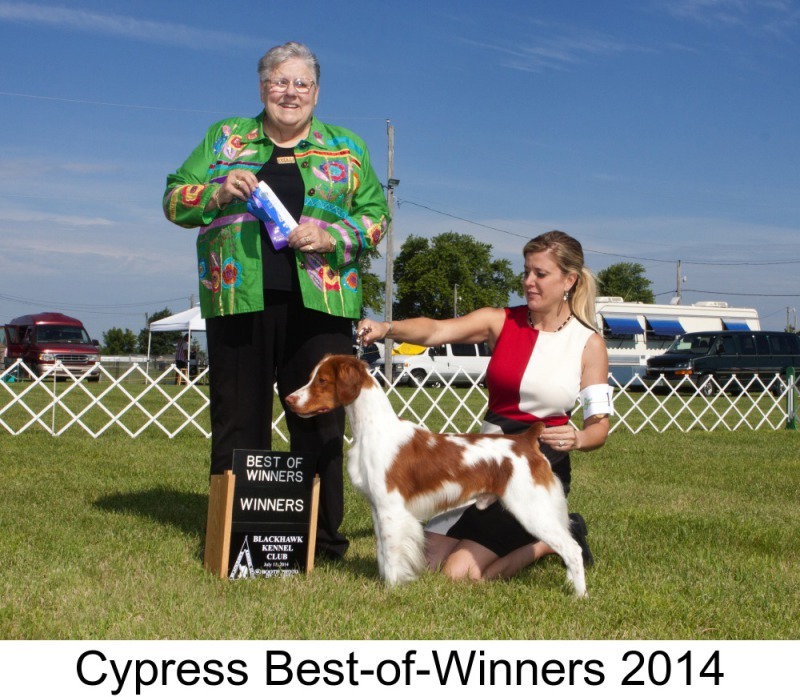 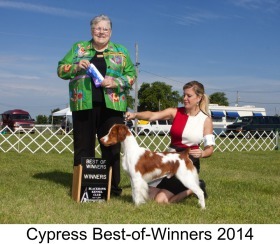 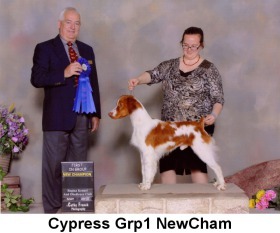 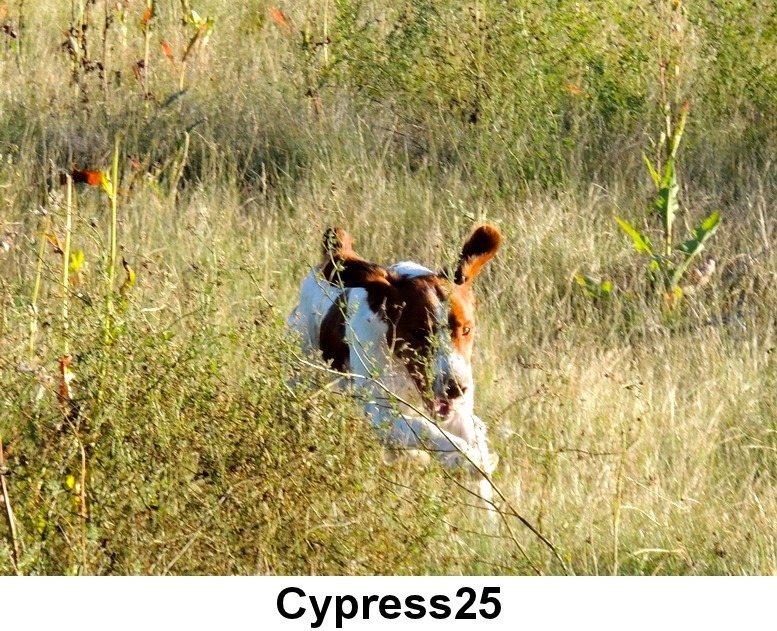 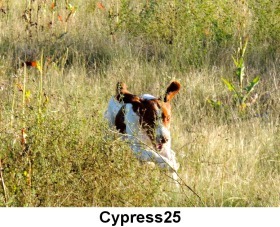 In the summer of 2014 Cypress also finished his American Championship with several Best of Breed wins. 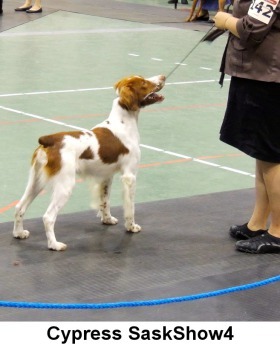 In the early fall he passed 3/3 to earn his FDJ (Field Dog Junior) title. 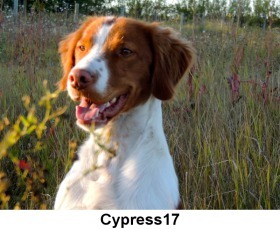 Cypress has a wonderful temperament and is very affectionate, outgoing, and loves everyone. 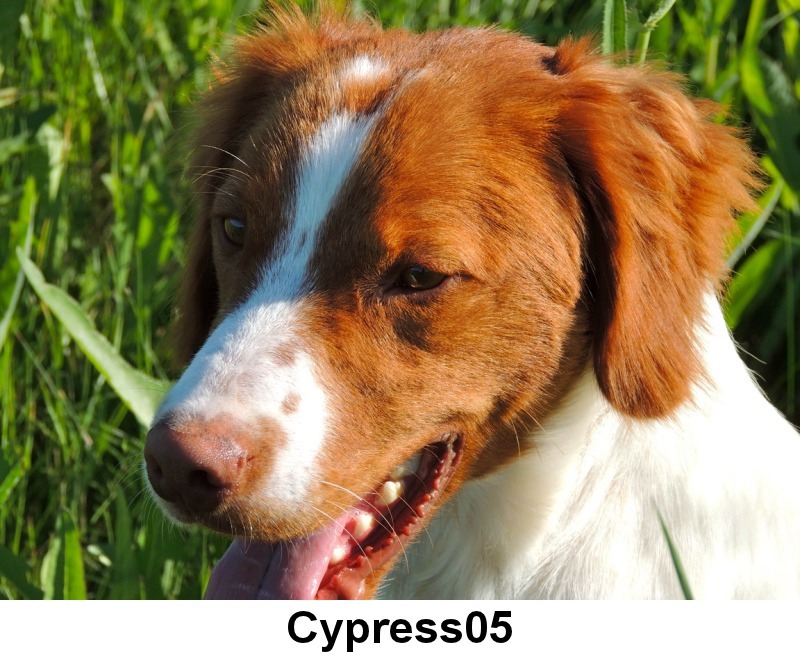 He is great with children and other dogs.He is very fast, agile, and has great movement and is beautiful to watch run in the field. Cypress is also demonstrating good bird drive and hunting instincts. Available at stud to approved females.